Black Friday is already shaping up to be a huge day for shoppers as the incredible money-saving deals will no doubt flood in. So we thought we’d get in early with our Cat Friday Scorcher. 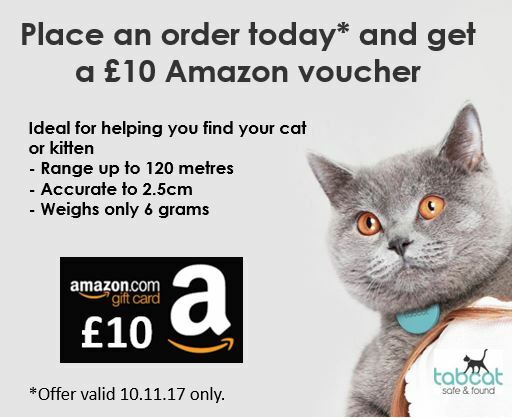 Simply order a Tabcat from us on Friday 10th November and we will give you a £10 Amazon voucher. It’s that simple. This offer ends at midnight so be sure to take advantage of it now. – Should the purchased goods be returned within 30 days as per our returns policy, £10 will be subtracted from the total amount. – Multiple purchases will be rewarded with multiple vouchers. – The vouchers cannot be exchanged for cash. This competition has now ended – congratulations to our 3 lucky winners! Summer is finally here and that is always a good reason to bring out the barbecues, champagne and strawberries and celebrate each and every day. 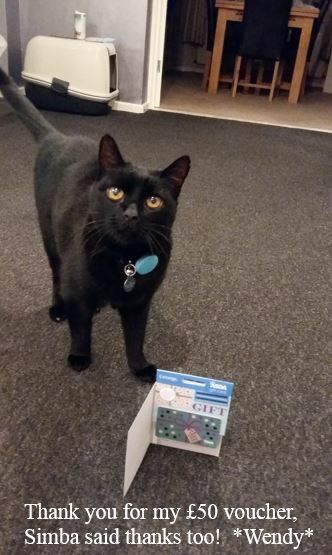 But we know looking after your pet can also be expensive so that is why we are giving 3 lucky winners help towards their cat food and accessories at their favourite supermarket. With 3 x £50 supermarket credit up for grabs, it would be advantageous to enter. Three lucky winners will win a £50 voucher at the supermarket of their choice right in time for the end of summer. All you have to do is place a Tabcat order between 27th July and 31st August & you could win this fantastic prize. If you place an order with us between Wednesday 26th July and Thursday 31st August, and as long as the order amount is over £20, you will be automatically entered into a monthly prize draw for a chance to win this fabulous prize. We accept all orders placed on our UK website: www.mytabcat.com and our Loc8tor website: www.loc8tor.com. Once we have collected all the entries, we will choose 1 lucky winner at random on Friday 1st September. The winner will be contacted and then announced on our website and via social media. To enter our £150 supermarket competition you must order from www.mytabcat.com or www.loc8tor.com between 00:00am 27/07/2017 and 11.59pm 31/08/2017. The minimum basket value must be greater than £20 however orders placed between 00:00 Thursday 24th August and 11.59pm Monday 28th August will be counted for any amount. Multiple orders during the time period will have an equal chance of winning. There will be 3 winners from this competition from all orders placed during the competition dates. The winner will be contacted by email/phone and will have 7 days to claim their prize. If the prize is not claimed during this time, the prize will roll over into our next competition. The prize consists of 3 x £50 vouchers and vouchers will be sent to each winner. The vouchers cannot be exchanged for cash. Loc8tor employees are not eligible to enter. If the order is returned £50 will be deducted from your refund. The winner agrees to the use of their name and images for marketing purposes and on the website. This competition has now ended – congratulations to our 4 lucky winners! June is often a warm and bright month and is considered by many as the start of summer. It also features the longest day of the year – summer solstice – on the 21st of the month. During the summer months, flowers blossom throughout. In keeping with the season, we are giving you the chance to win 4 beautiful bouquets. 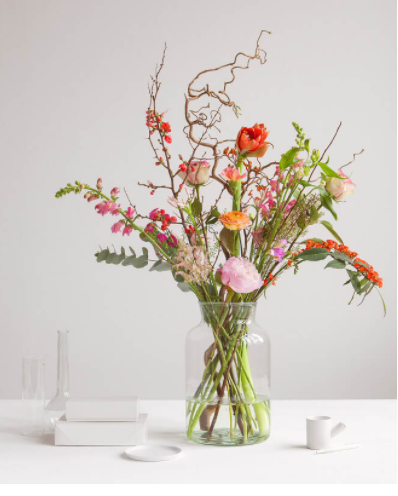 One lucky winner will win 4 beautiful bouquets sent fortnightly during July and August, courtesy of online flower specialists Bloomon. That means your home will be brightened up with a delightful bunch of flowers and feel special all summer. All you have to do is place a Tabcat order in June & you could win this prize worth over £100*. If you place an order with us between Thursday 1st June and Friday 30th June and as long as the order amount is over £20, you will be automatically entered into a monthly prize draw for a chance to win this fabulous prize. Once we have collected all the entries in June, we will choose 1 lucky winner at random on Monday 3rd July. The winner will be contacted and then announced on our website and via social media. To enter our Flowers in June competition you must order from www.mytabcat.com or www.loc8tor.com between 00:00am 01/06/2017 and 11.59pm 30/06/2017. The minimum basket value must be greater than £20. Multiple orders during the time period will have an equal chance of winning. There will be 1 winner from this competition from all orders placed in the previous month. The winner will be contacted by email/phone and will have 7 days to claim their prize. If the prize is not claimed during this time, the prize will roll over into our next competition. The prize consists of 4 medium sized bouquets to the value of £24.95 each and includes delivery. Delivery can be made to the UK only. Loc8tor employees are not eligible to enter. If the order is returned £50 will be deducted from your refund. The winner agrees to the use of their name and images for marketing purposes and on the website. This May, we are giving away 4 x £50 Amazon vouchers. All you have to do is what you came here for anyway – buy a Tabcat (or similar products). Tabcat is the smallest and most accurate locating device for finding your cat or kitten. With a range of up to 120 metres and an astonishing degree of accuracy (2.5 cms), each directional handset can find up to 4 cats. The tags are also very light at only 6 grams which makes it comfortable for your cat. Read on to find out how you can enter and buy something special this summer. If you place an order with us between Monday 1st May and Wednesday 31st May on any product and as long as the order amount is over £20, you will be automatically entered into the weekly prize draw to a chance to win 1 of 4 x £50 Amazon vouchers. We accept all orders placed on our UK website: www.mytabcat.com, our US website: www.tabcat.com and our Loc8tor website: www.loc8tor.com. 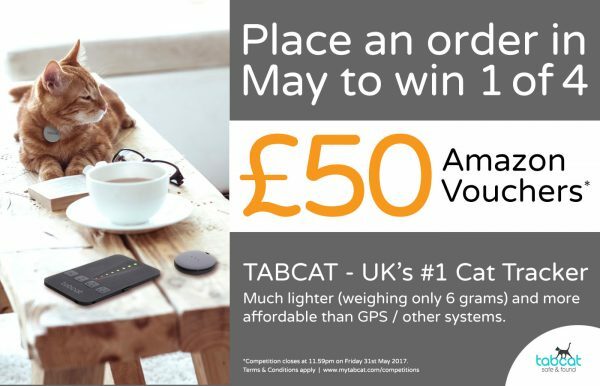 To enter our May Madness competition you must order from www.mytabcat.com , www.tabcat.com or www.loc8tor.com between 00:00am 01/05/2017 and 11.59pm 31/05/2017. The minimum basket value must be greater than £20. Multiple orders during the time period will have an equal chance of winning. There are 4 x £50 Amazon Gift Cards up for grabs. Each £50 voucher can only be redeemed at www.amazon.co.uk – you will need to check the details of the voucher expiry date. 1 winner will be randomly selected from all orders placed in the previous week; the exception being the last period which will run over 10 days. The winner will be contacted by email/phone and will have 7 days to claim their prize. If the prize is not claimed during this time, the prize will roll over into our next competition. Loc8tor.com employees are not eligible to enter. If the order is returned £50 will be deducted from your refund. The winner agrees to the use of their name and images for marketing purposes and on the website.